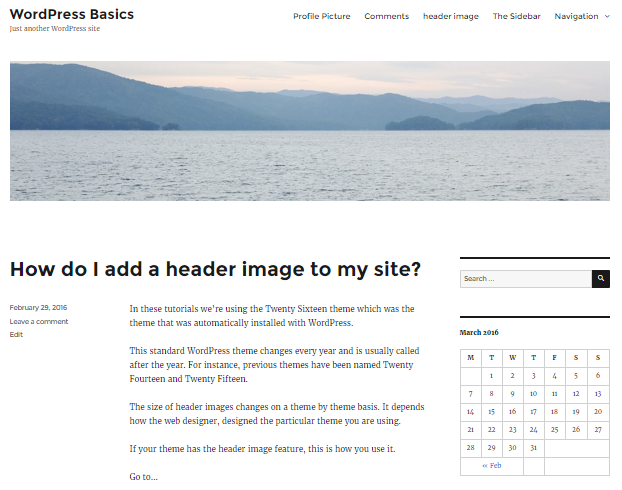 You are here: Home / WordPress Tutorial For Beginners / How do I add a header image to my site? In these tutorials we’re using the Twenty Sixteen theme. This is the theme that was bundled with WordPress in the year 2016. This standard WordPress theme changes every year and is usually named after the year. For instance, previous themes have been named Twenty Fourteen and Twenty Fifteen. 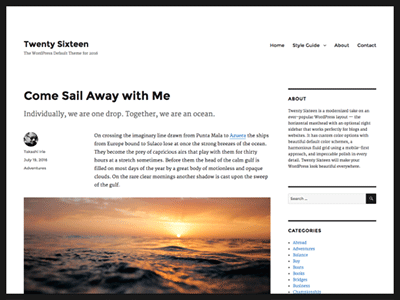 The Twenty Sixteen theme uses a large header image. 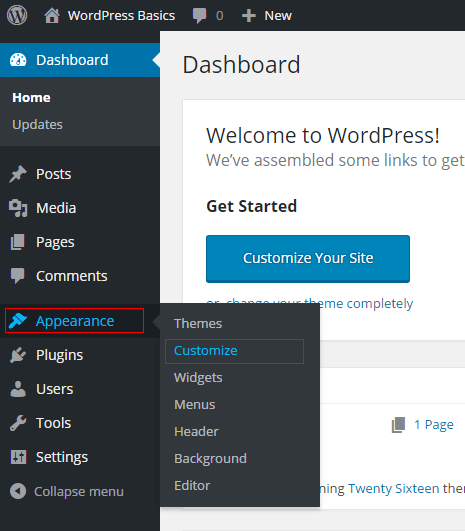 Many WordPress themes use a much smaller, logo sized image. The size of the header image changes on a theme by theme basis. It depends how the web designer, designed the particular theme you are using. If your theme has the header image feature, this is how you use it. In the Customizer, choose Header Image. Read the instructions. Pay special attention to the recommended image size. Make and then upload an image that is EXACTLY the size recommended for your theme. Always remember to click Save & Publish, then click the X to close the dialogue. After you have uploaded an image you see a new button that says Hide Image. If you change your mind and want to remove the image, click the Hide Image button. 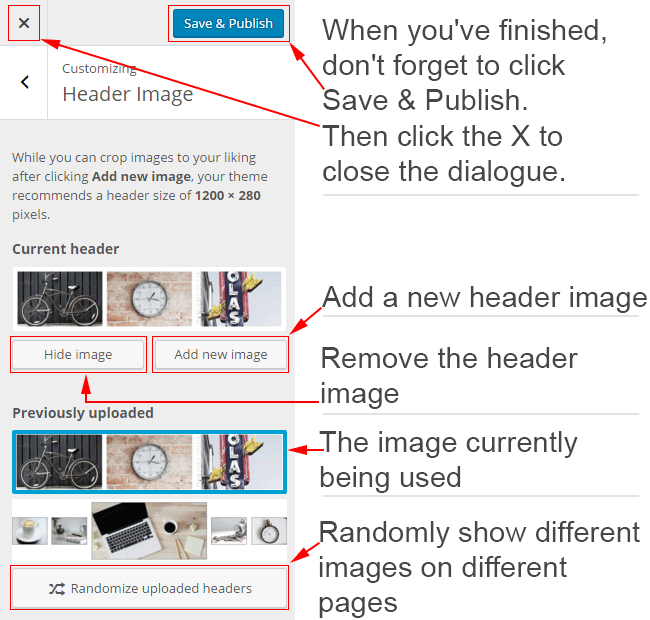 If you have uploaded several header images and only want to use one, click to select that particular image. A blue border will appear round the image that is currently being used. To remove an image from the list, hover over the image, then click the X. 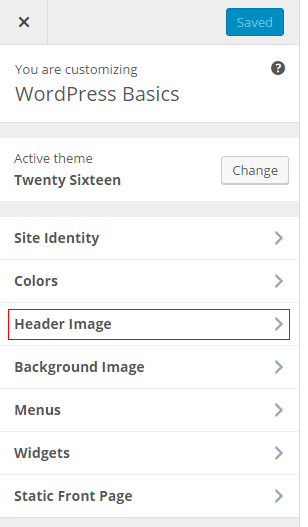 You can upload several Header Images, all at the recommended size, and let WordPress randomly show the different images as the visitor views different pages of your site. To do this you must click the button that says, Randomise uploaded headers. Previous Post: « How do I add fancy featured images to my WordPress website?